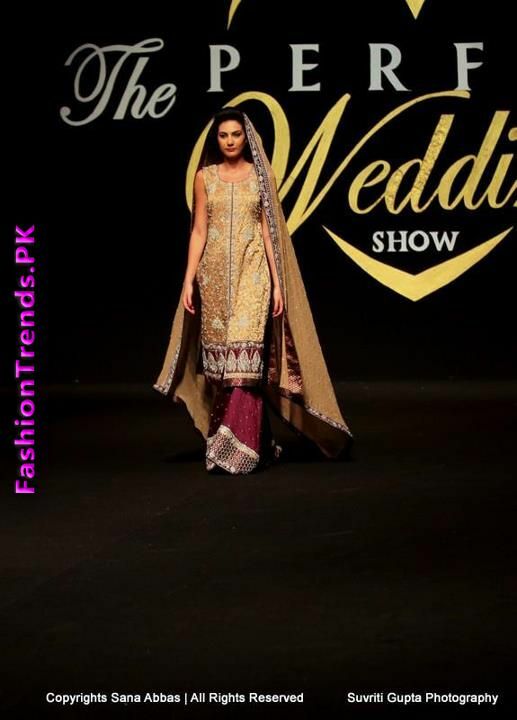 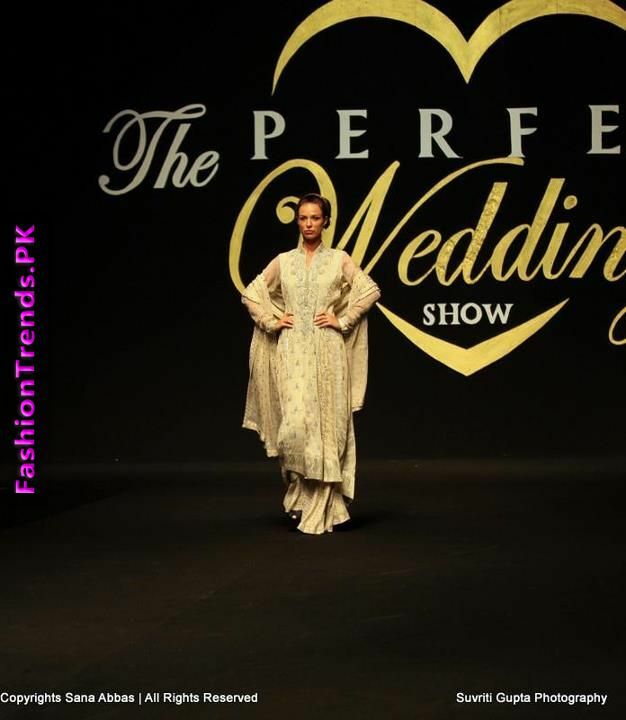 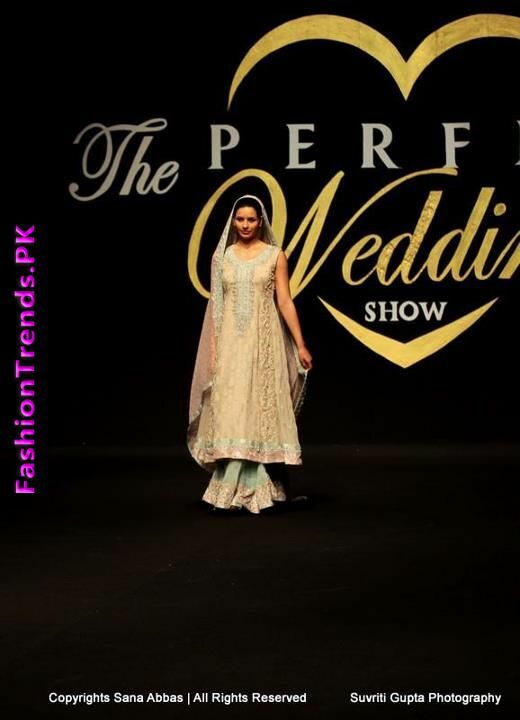 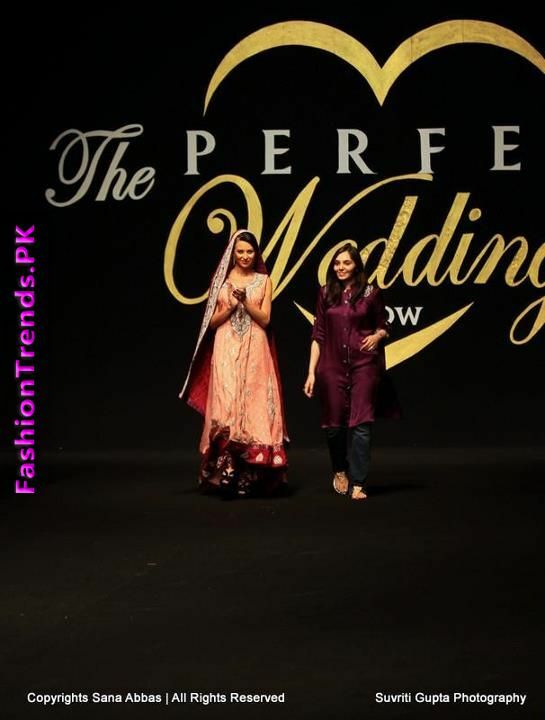 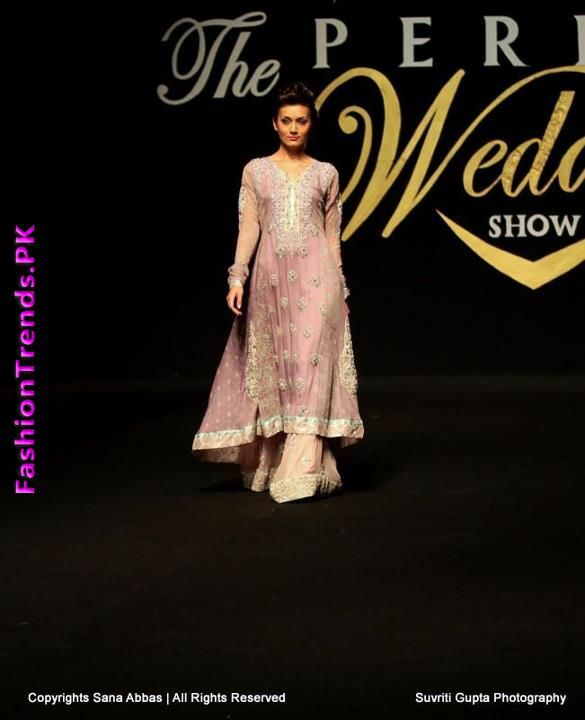 The latest Bridal Wear collection by Sana Abbas was recently showcased at the Perfect Wedding Bridal Show in Sharjah, Dubai. 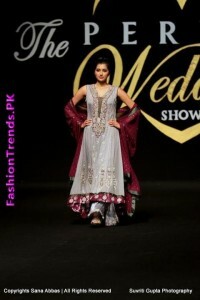 Sana Abbas is a very well known and well-reputed fashion Designer who has been working since 2008. 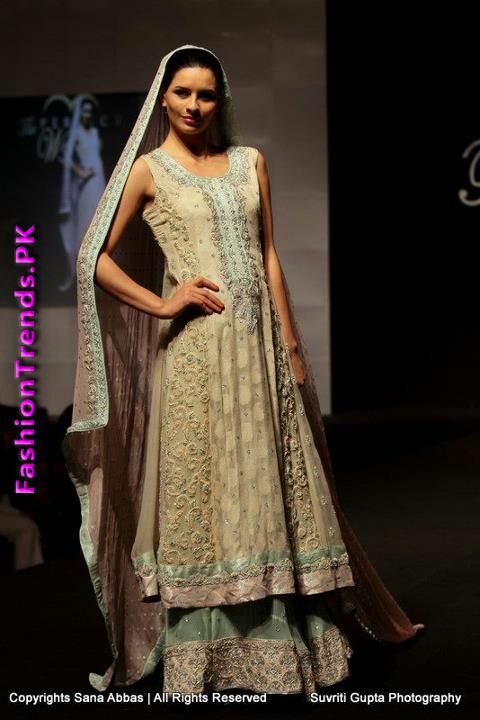 She not only desgins bridal wear but also offers casual wear, party wear, semi formal and formal wear. 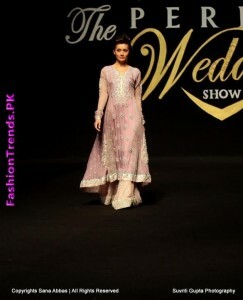 Her outfits are very chic and elegant. 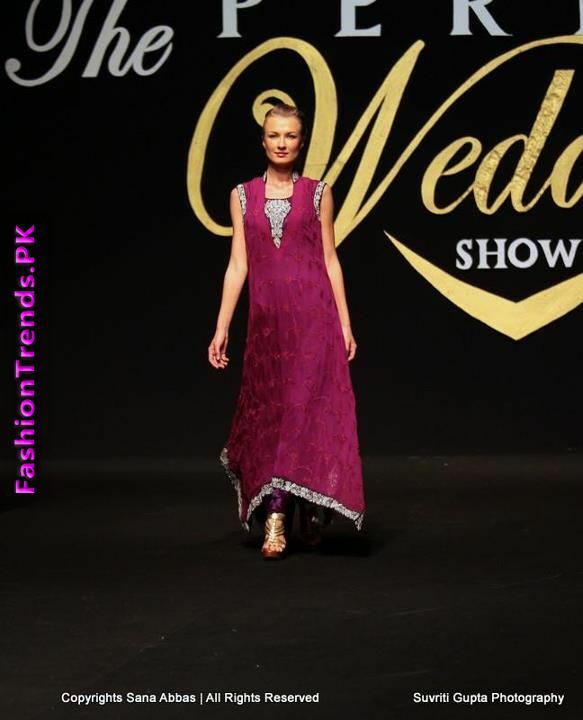 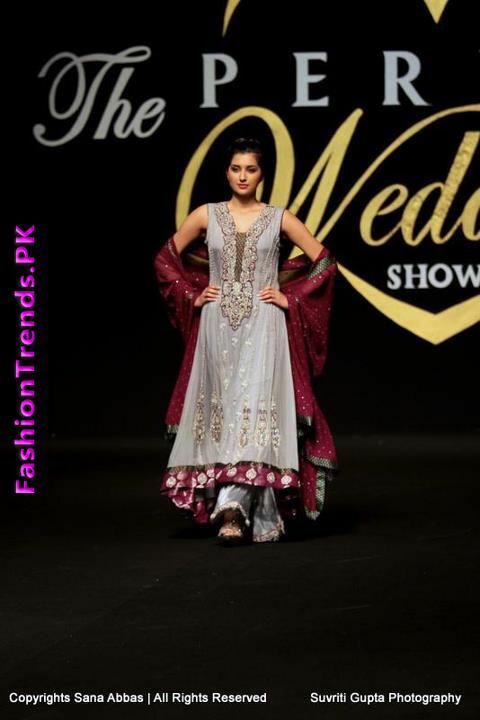 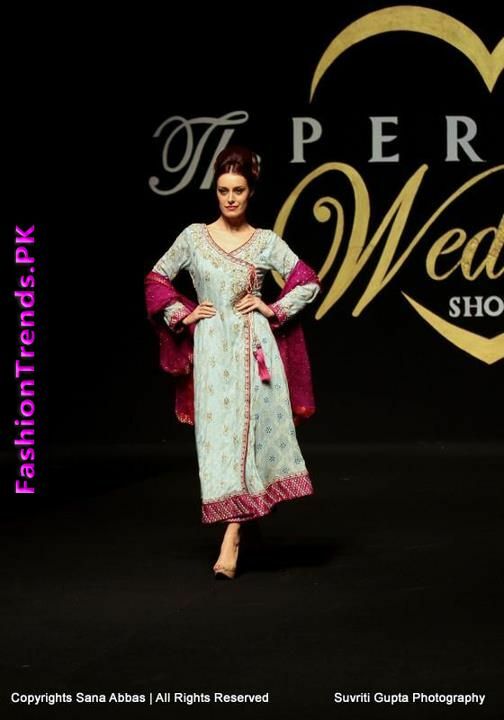 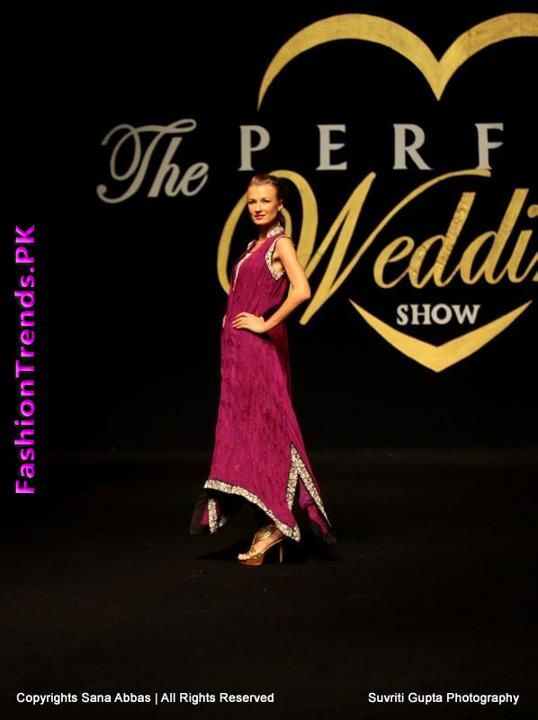 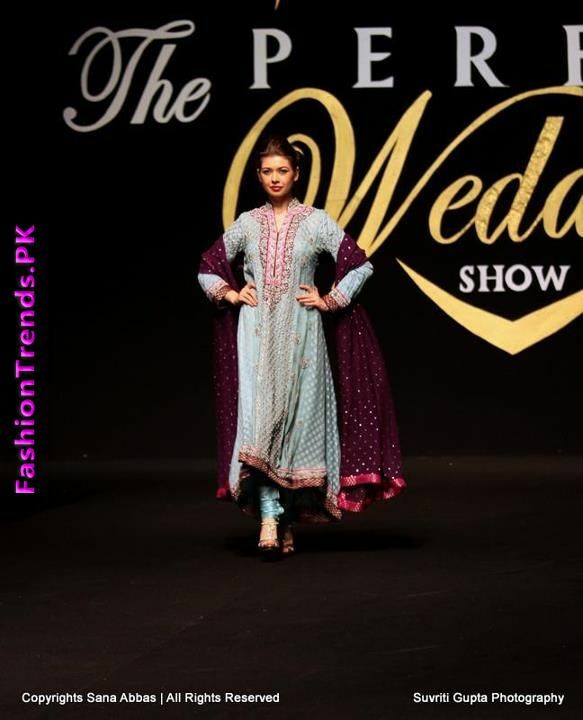 Sana Abbas has participated in numerous fashion shows and has always represented the Pakistani culture in a unique way. 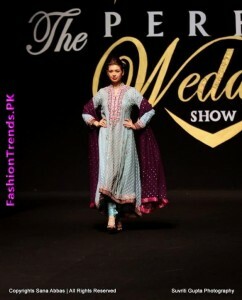 Her latest collection consists of long shirts with sharara, trousers and frocks with churidar pajamas. 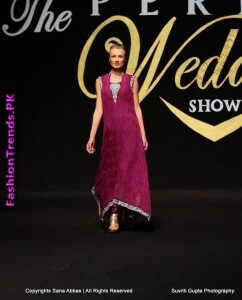 This collection is full of different cuts and she has used very striking colors. 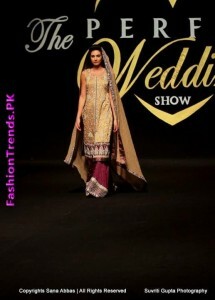 Before closing this page, have a quick at the Summer collection for brides, 2012. 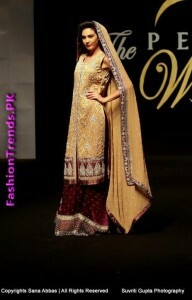 You will fall in love with the extremely stylish outfits she has come up with. Wedding is one of the days that every girls wants to like look princess such as Sana Abbas is very famous in modern fashion and she always wants that wears modern dress so that look modern.